Ensuring that precious natural resources are around for generations is an essential part of the world we want to see tomorrow, and perhaps no resource is more precious than water. Water scarcity affects more than 40 percent of people globally, and that percentage is rising as the population grows. Agriculture uses the most water, which means to manage water sustainably, we must focus on what is grown in our value chains and how. We also should consider the impacts of climate change, since it can alter precipitation patterns—changing amount, timing, and intensity—and damage agriculture. As part of our Sustainable in a Generation Plan, our long-term, science-backed ambition is to eliminate unsustainable water use in our value chain, beginning with halving it by 2025*. We’ve also set a goal to improve water efficiency at our water-stressed sites by 15 percent* by 2020. As of the end of 2018, we are nearly halfway to this achieving this target. We’ve mapped the total water use across our global supply chains, assessed whether that water comes from natural rainfall or crop irrigation, and begun to work to reduce our water impacts in highly stressed watersheds where we source materials in Australia, India, Pakistan, Spain and the U.S. Learn more in our Water Stewardship Position Paper. Within our direct operations, we’re focused on using water efficiently, promoting water recycling, and preventing pollution through responsible wastewater management. And we’ve seen promising progress, delivering a reduction in global water use of 18 percent from 2007 to 2015. In our supply chains, we’re deploying farmer training and technology to advance more sustainable water use. 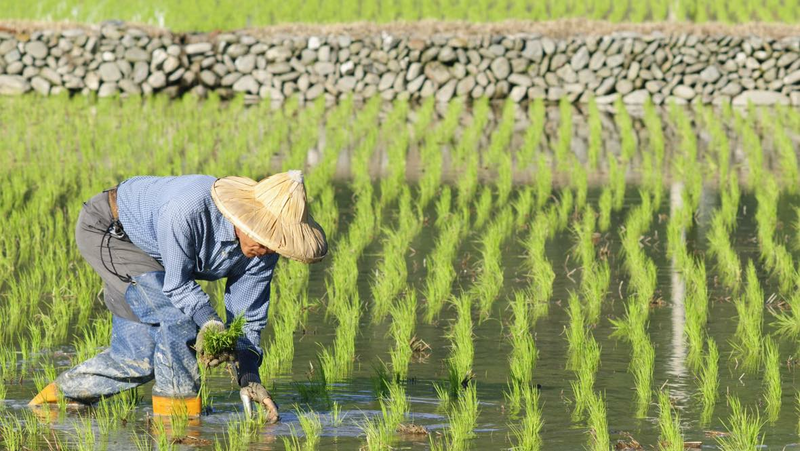 In some locations, we are taking a leading role in water stewardship, collaborating with suppliers, sustainable standards like the Sustainable Rice Platform and Alliance for Water Stewardship, government development agencies and NGOs to drive change at scale in farming communities. One example of this is our work with Swiss NGO Helvetas and the WAPRO water productivity project, where 17 partners from private and public sectors are working to improve food security, water use efficiency and income for over 60,000 cotton and rice farmers in six Asian and African countries. Where we can’t reduce water use to sustainable levels, we plan to investigate balancing activities outside our value chain, such as landscape restoration, to meet our targets. And as a last resort, if interventions can’t relieve the stress on a local watershed, we’re prepared to protect that watershed by changing where we source, because we’re committed to doing everything we can today to protect this precious resource for tomorrow.